This is a 30 hour wooden works clock. It is a split pillar design. It has wooden gears and face. 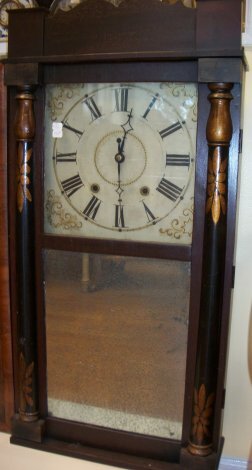 The mirror has aged badly but original to the clock. The design on the pillars is also original. 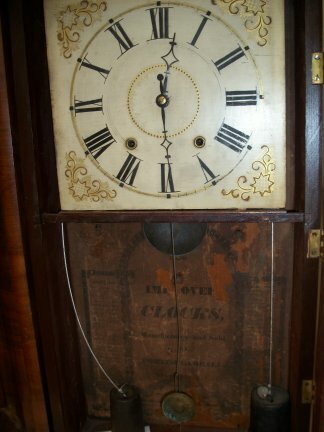 Closer view of clock with the door open. 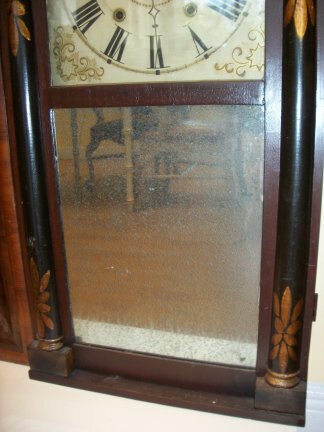 Closer view of clock, original glass mirror. 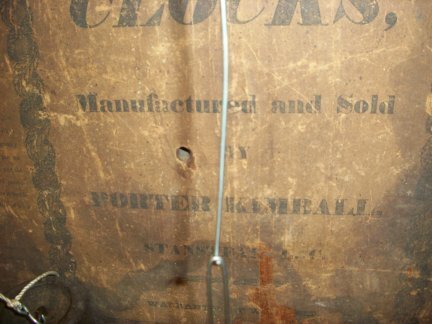 Closer view of clock paper. 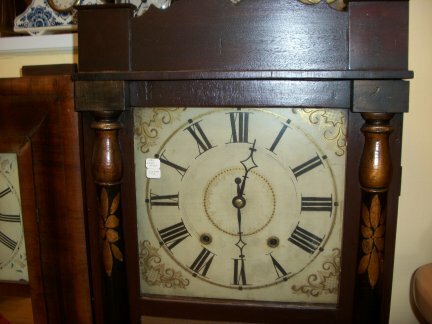 Closer view of clock top.